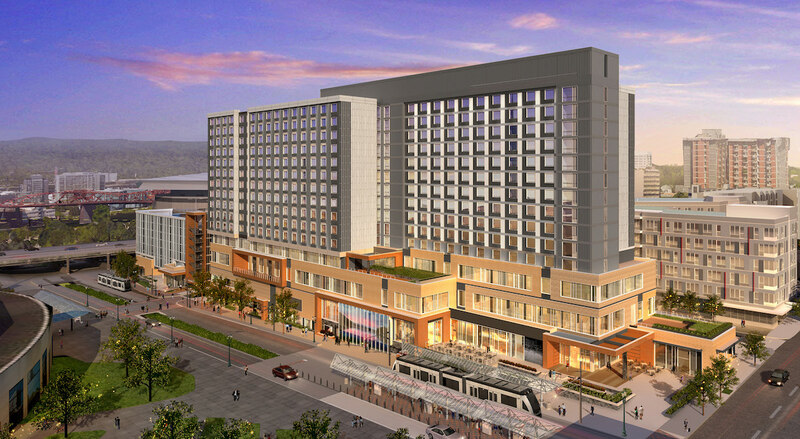 The Business Tribune wrote about “Portland’s new international front porch“—the Convention Center Hotel. 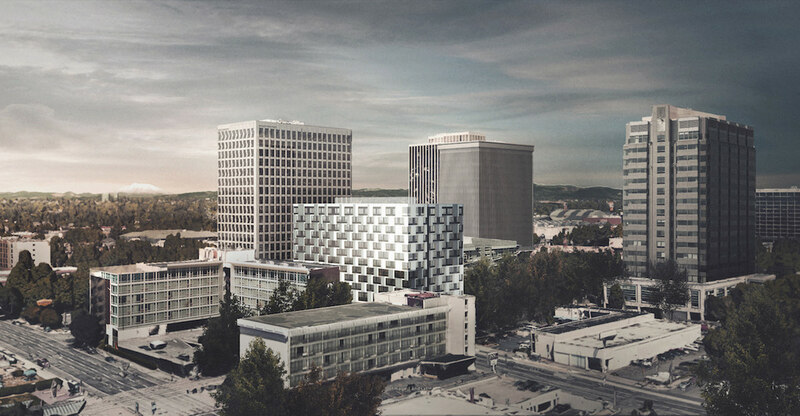 The Hyatt Regency branded hotel recently went in front of the Design Commission for its first Design Review hearing. A change in policy at the Bureau of Development Services means that ranked properties on the city’s Historic Resources Inventory will now be subject to a 120 day demolition delay, even if the property owner requests that it be removed from the Inventory. 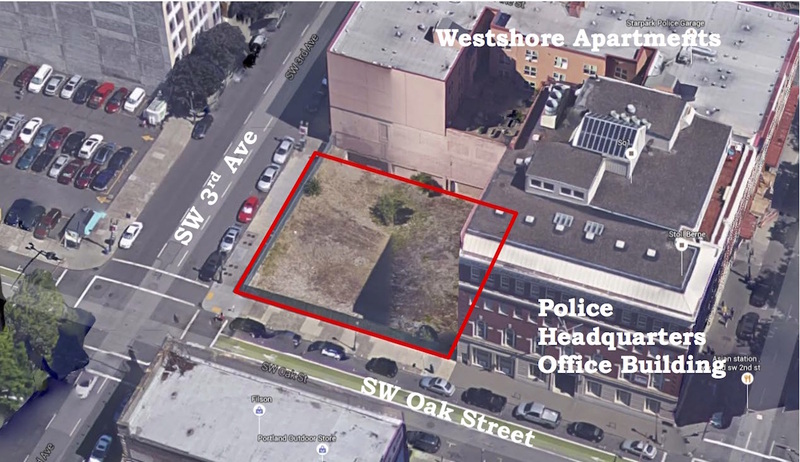 The Business Tribune wrote about how advocacy organization Restore Oregon wants to ensure that “we don’t want to lose those things that make Portland Portland” as the city grows. As thousands of units per year get built in Portland, the DJC looked at how much parking developers are choosing to build. 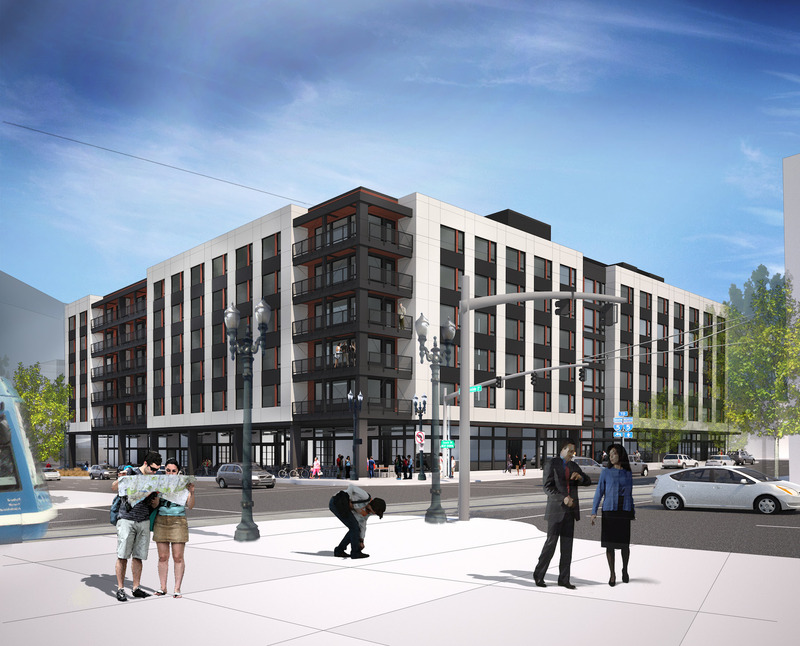 While investors once demanded a 1:1 parking to units ratio, 0.6:1—or less—has become common. Construction has finished on the International School Expansion, reports the Portland Business Journal. According to the paper the school “kicked off the school year this week with a ribbon cutting ceremony for its new Learners’ Hall, a 10-classroom building for fourth- and fifth-grade students”. The Willamette Week reported that parents are warning that delays to Portland Public Schools’ $750 million bond could doom it to failure. If passed, the bond would pay for the rebuilds of Lincoln High School, Madison High School and Benson High School. 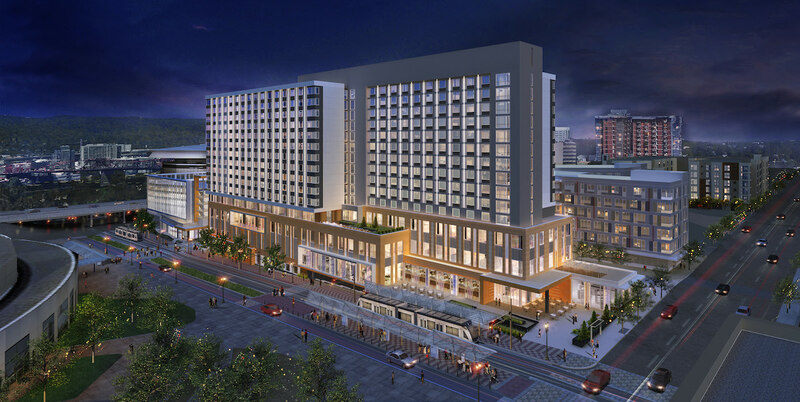 The Oregonian reported that Portland’s hotel boom—which includes the Cornelius-Woodlark, Canopy Hotel, Porter Hotel, AC Hotel, and the Convention Center Hotel—will by 2020 result in 40% more hotel rooms than there are now. 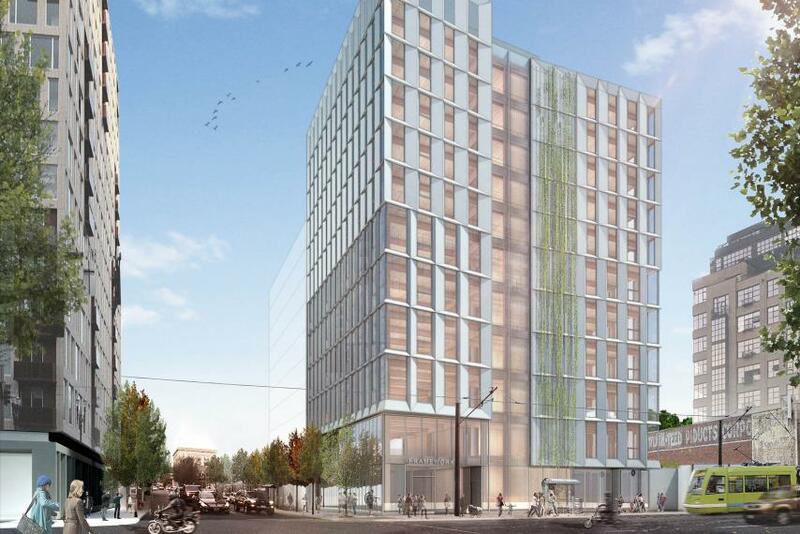 The Willamette Week opined that “Portland City Hall seems to have learned its lesson about parking minimums raising rents” as the City Council struck down a proposal to add parking minimums for new residential development in the Northwest Plan District. The DJC reported* that the Metro area multifamily market is beginning to cool as “after years of apartment development, supply appears to be starting to make a dent in demand”. 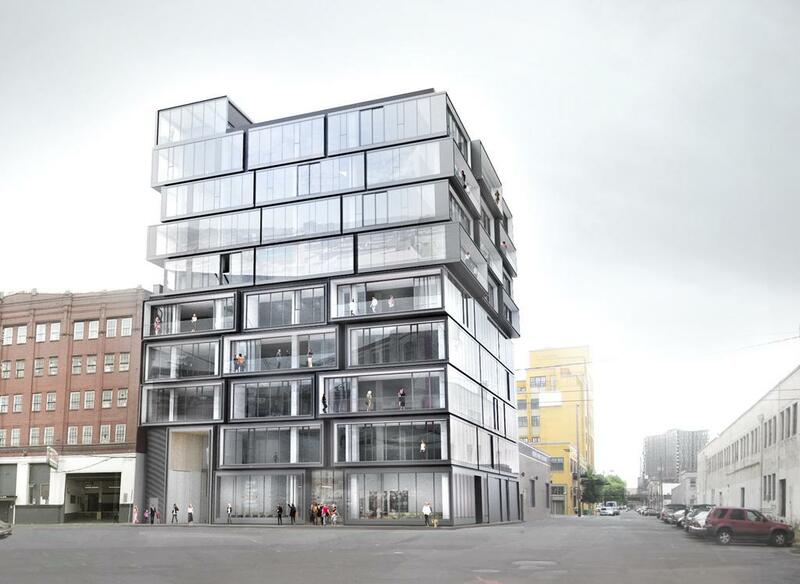 Harsch Investment Properties revealed a new creative office projected planned for 129 SE Alder St (previously 110 SE Washington St) to the Portland Business Journal. The design of the 9 story building is by Works Partnership. According to The Oregonian, Portland Public Schools will seek voter approval for a $750 million construction bond in November. If passed, the bond would pay for the rebuilds of Lincoln High School, Madison High School and Benson High School. The Portland Business Journal reported that Mill Creek Residential Trust paid Meriwether Partners $13.2 million for the former Premier Press building in the Pearl, a significant increase over the $6.05 million paid for the property in 2014. 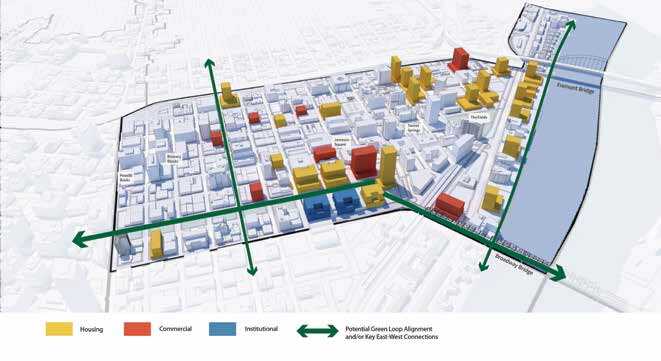 The transaction will allow the mixed use project at 505 NW 14th Ave to grow larger, at the expense of the now cancelled 1440 Hoyt office development.